For my research semester during my masters at Industrial Design (ID), I conducted research using the interactive medical mask is designed by Alice van Beukering, an alumnus of ID. The design is child-friendly interactive mask design to distract and calm children during minor procedures. 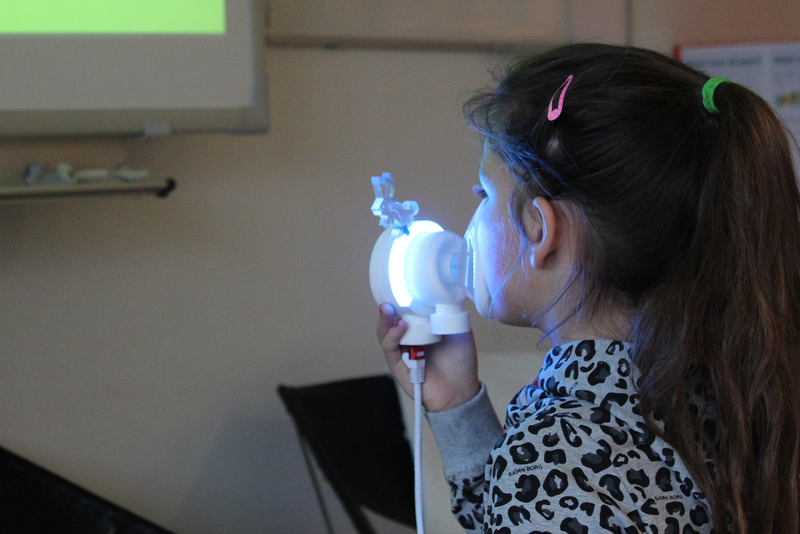 The design research focused the relation between the engagement and enjoyment opposed to the experienced control by children that are breathing through an interactive medical mask. It focused on the potential of using interactive technology to distract the child in a playful and pleasant way. The project was in close cooperation with Maastricht University Medical Center+ (Maastricht UMC+) and contributed to a program working towards the implementation of Procedural Sedation and Analgesia in paediatric care.